The Baptist Church Fishing Club’s August competition was again well contested, with many members getting out for a fish. Locations such as Bushland Beach, Morrissey’s Creek, Bohle River, Middle Reef and the Shipping Channel all received a thorough work-over. 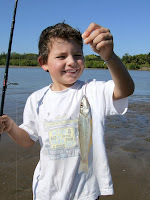 Despite all the effort only 13 anglers managed to catch fish. A total of 13 fish and 1 mud crab were weighed and an additional 43 fish released. 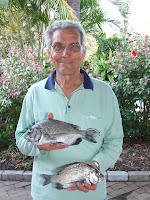 Pikey bream once again dominated catches due to the blustery conditions out front. 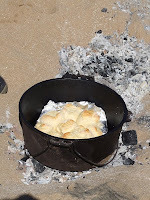 Once again a very big THANK YOU to Steve Holloway for organizing a great Fishing Trivia Night and to Rod and Sylvia Gear for the fantastic camp oven scones on the beach – your effort is greatly appreciated by us all.